We believe that God wants to do more signs and wonders through us so we're looking at stories in the gospels that show this happening, and how the people around him got closer to him. Luke chapter 5 contains a story of friendship form which we can learn what sort of friends we should be to glorify Jesus. The story of the Canaanite woman shows us to not be offended by God. Our faith is often a mixture of belief and unbelief, Mark 9 shows us how God can use this , and how He wants to grow our faith to be more consistent. The transfiguration of Jesus shows us how good, holy, and revealing God is. Glimpsing Jesus in His glory gives us hope in dark times and compels our obedience. The Samaritan woman’s responses to encountering Jesus show how she changed from a woman who avoided people and tried to cover up her background history, to being a woman who openly declared who she was and what Jesus had said and done for her. We can learn from this about how we respond to Jesus. 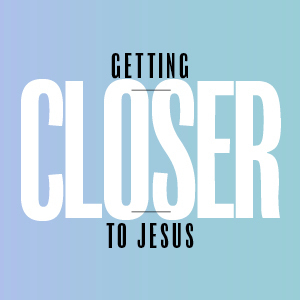 Just like Martha when Jesus came to visit, we can find ourselves facing a whole host of things that can cause us to fuss and fret; this passage in Luke teaches that the one thing that is vitally important is getting close to Jesus himself. The everyday humdrum of life can seem like the last place we'd see Jesus at work. But just as the weary fishermen obeyed Jesus and cast their empty nets again after a night of disappointment, our faithfulness to God in the small things positions us to receive the abundance of His miraculous grace in the everyday.